This talc can be used by anyone. You will enjoy its soft and absorbant texture. 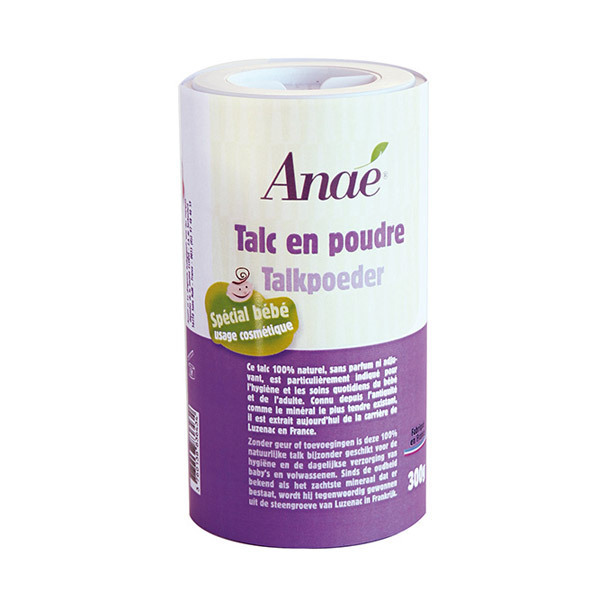 Anaé is a registered trademark sub brand of Ecodis. It offers a selection of bath linen and accessories made from natural, renewable raw materials and organic cotton. Anaé's quality bath linen of 550g/m² is produced in the oldest textile factory in Turkey, to give customers the best quality traditional towels. Anaé products are guaranteed free from chemicals, chlorine bleach and azo dyes.